Solyx is a brand that consistently delivers beautiful color results and is considered one of the best in decorative window films. Solyx is a stylish, diverse film which allows us, at Houston Window Film, to take your high-end interior film appearance to the next level. One of the strongest selling points of Solyx decorative film is, it is available in so many beautiful finishes including colored, patterned, textured and more. This makes it perfect for privacy applications in conference rooms, lobbies, retail environments, private offices, and even high-end homes. If you own a commercial space in the Houston area and are looking for superior style and high-quality graphics, that is exactly what Solyx decorative film will provide. When you choose Solyx film, you are opting for beauty and style for your building’s glass surfaces and all the associated sophistication. However, the benefits don’t stop there. Added privacy: Allows you to conduct your meetings in privacy, comfort, and style. 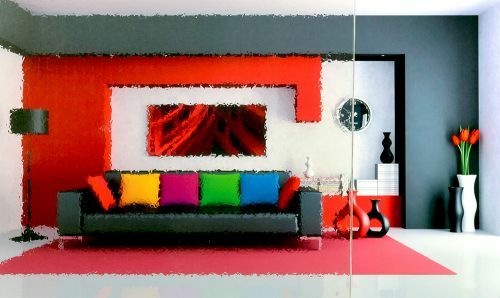 Solyx produces some of the very finest decorative films for applications in both residential and commercial settings. And as a world leader in the decorative window film industry, the benefits for any space here in Houston make Solyx a strong contender for home and business glass treatment solutions. 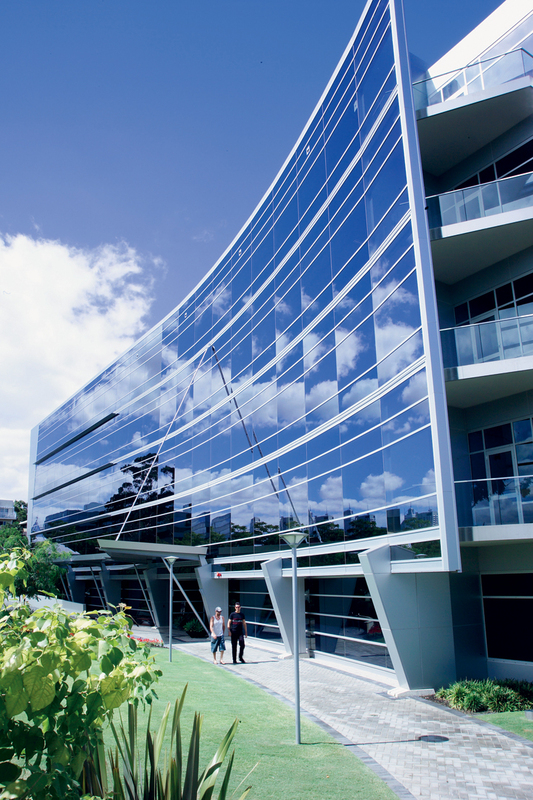 These innovative films offer a variety of options for visible light transmission options to meet a variety of solar control needs, while at the same time performing as privacy solutions for any glass areas of your commercial property including windows, doors, and even glass cubicles. Other Solyx window films are specifically engineered for to perform niche tasks: cloaking films, which mask screens and monitors while leaving the rest of the glass crystal clear and whiteboard films that act as cost-effective whiteboard solutions in office or school settings. Furthermore, Solyx films come in a wide array of colors, looks, and finishes for design options to fit any brand or style. Finally, Solyx films are easily removed for fast and fun updates any time of year! Meaning, you get the gorgeous aesthetics you want for all the glass areas of your Houston home or business, with the functionality you need! All of this without any permanent structural changes to your space. To see just how stunning Solyx window films are, browse our Solyx “look” gallery below or click here to see all the designs Solyx offers. 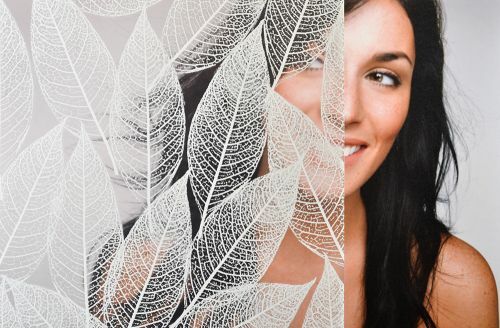 Available in numerous geometric or natural patterns like this dusted leaves design patterned decorative films are a clear polyester window film which are perfect for semi privacy and for obscuring direct visibility while still allowing in copious amounts of natural light. Translucent, high grade embossed vinyl film that masterfully simulates shiny sandblasted glass. Available in This “Jacks” pattern and many other free-form and geometric patterns too! Ideal for obscuring direct visibility while allowing excellent light transmission. Click here to see all Solyx Decorative Films! 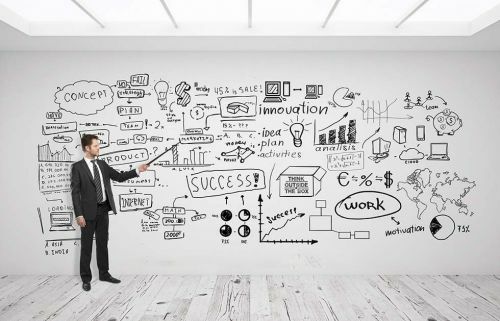 White Dry Erase film for WALLS is a fantastically useful 4.3 mil White Opaque film coated with a premium dry erase surface. Its High- tack pressure sensitive grooved adhesive make for dry installs that are durable. This film is recommended for interior wall surfaces. This film has a premium quality dry erase surface and is great for decorative or architectural applications where cost-effective dry erase surfaces are needed. Click here to see all Solyx Decorative Films! Cloaking Film obscures wall-mounted and other large LED displays in conference rooms, huddle rooms, and other glass-enclosed rooms. Screens appear black from the outside looking in but everything else in the room is visible. Most large, wall-mounted displays can be cloaked. Click here to see all Solyx Decorative Films! These transparent, optically clear, colored, polyester film are scratch resistant, with a Gloss surface. Great for creating high-quality illuminated or stained glass designs, window graphics and even back-lit glass surfaces. Available in 25 gloss colors that can be superimposed to create an unlimited color palette. Click here to see all Solyx Decorative Films! 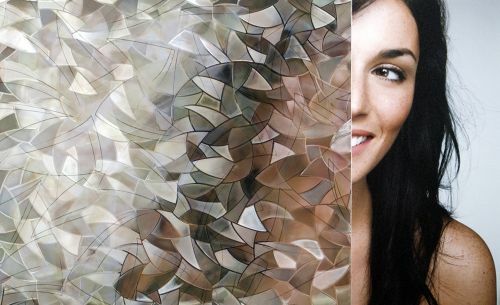 This gorgeous Atlantis Mosaic is a self-adhering, translucent embossed vinyl film. Prism-like facets makes light dance but still allows for privacy. An excellent film obscuring direct visibility, it also allows for excellent light transmission. Perfect for bathroom windows or glass cabinet doors. Click here to see all Solyx Decorative Films! These finely “etched” window films create the illusion of real etched glass with an appearance very similar to sandblasted crystal. This film has a permanent adhesive system for a very long life, 10-15 years, for interior applications. Click here to see all Solyx Decorative Films! A lovely Textured, crystal clear glass-like film that allows for colors and shapes to show through with fine details obscured. This makes for gorgeous semi-private spaces. Click here to see all Solyx Decorative Films! Solyx is easy to apply and doesn’t require any expensive structural changes. Because of this, Solyx offers your business the freedom to choose any style of design element with no long-term commitment. This simplicity makes Solyx Decorative Window Film the smart alternative to actual decorative glass.